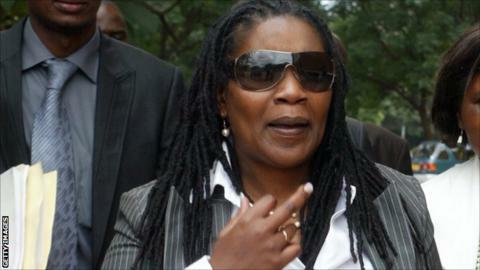 Former Zifa chief executive, Henrietta Rushwaya, always maintained that she was innocent. The Zimbabwe Football Association (Zifa) has lifted all of the remaining match-fixing bans from the so-called "Asiagate" scandal. 85 players and officials were banned for activities around national team games played mostly in Asia between 2007 and 2009, but the sanctions were never endorsed by Fifa. Recently-elected Zifa president Phillip Chiyangwa announced on Friday that outstanding bans were lifted following a resolution at a Zifa executive committee meeting. The biggest beneficiary is former Zifa chief executive Henrietta Rushwaya, who had a life ban from all football activities, although she always maintained that she was innocent. Rushwaya was accused of being the key link between the Zimbabwe national team and Raj Perumal - a Singaporean who was jailed for match-fixing. Players based outside of the country such as South Africa-based former captain Method Mwanjali were free to continue with their careers, as the rulings only came under the jurisdiction of Zifa. The decision is too late for some home-based players such as defender Guthrie Zhokinyi, who captained Zimbabwe at the Cecafa Cup in Kenya 2009 and was given a life ban. Zhokinyi's career ground to a halt after four years on sidelines. The Zifa investigation claimed that players were paid between $500 and $1500 to ensure the national team lost matches and conceded goals at certain times during games.